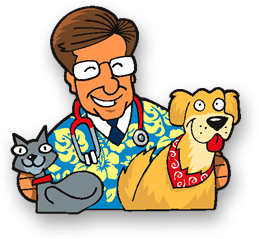 The Schulmeyer Animal Hospital, conveniently located in Perry Hall, MD, is a full service animal hospital. Should your dog or cat become injured, ill or require any surgery, our hospital is always ready to help you. We provide inpatient and outpatient care every day of the week except Sunday and major holidays. All examinations are scheduled by appointment. This allows us enough time to examine your pet and answer your questions. It also prevents a long wait in the reception area for you. We welcome new patients. We will always make room for your friends and referrals. Please call 410-256-PAWS (7297) to schedule an appointment. In addition to the services we provide, the Schulmeyer Animal Hospital works very closely with specialists in all fields of veterinary medicine. If your pet needs specialized diagnostics or care we can refer them to specialists in the fields of dermatology, surgery, internal medicine, neurology, dentistry, ophthalmology and cardiology.